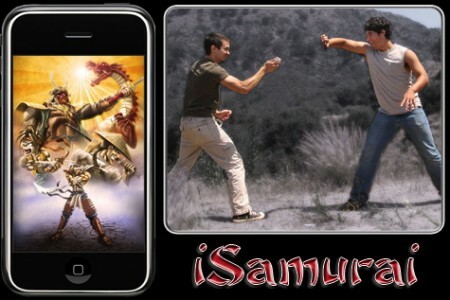 iSamurai is a fun iPhone toy application that use the iPhone accelerometer to simulate sword fights. You can fight between 2 iPhone/iPod touch devices using Wi-Fi or Bluetooth. The game cost $0.99 in the iTunes App Store. iTunes App Store links: full version and trial edition.